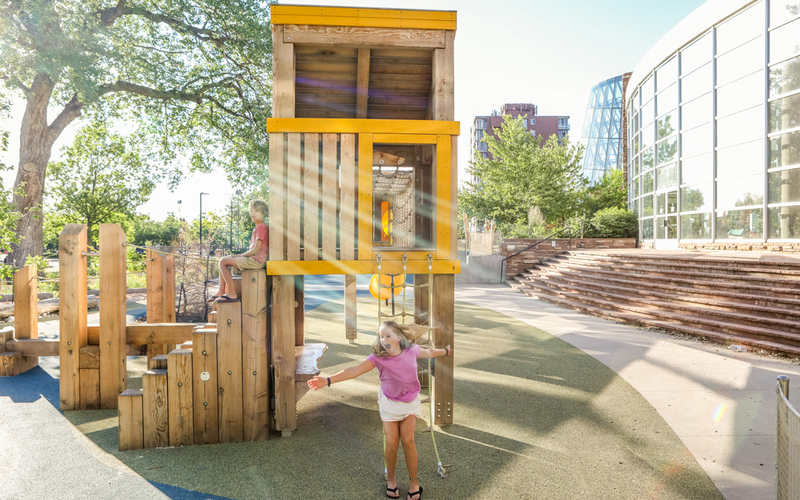 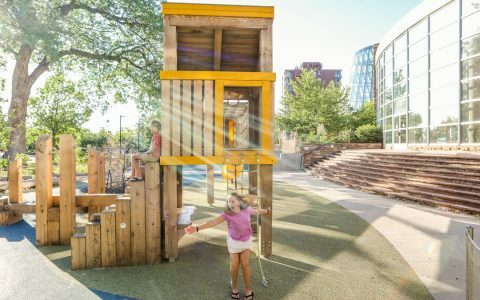 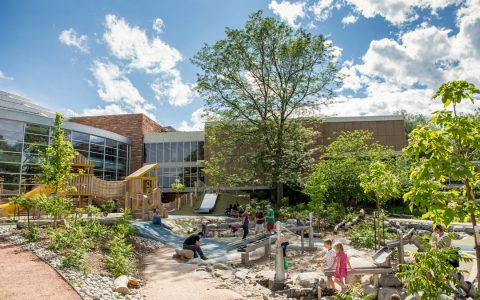 This contemporary tree-house playground in front of the Boulder Civic Library is a part of a larger development of public space in the heart of Boulder, Colorado. 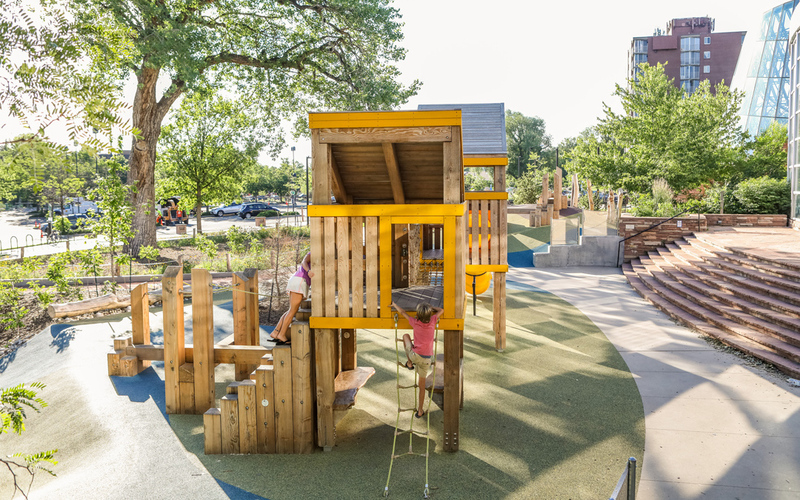 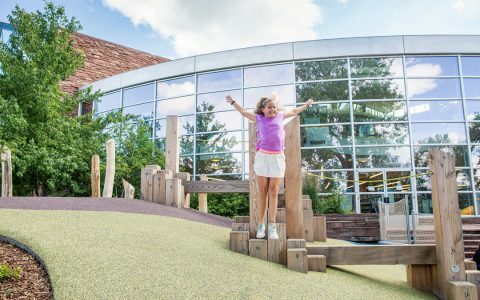 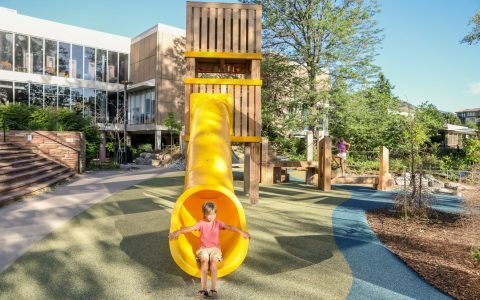 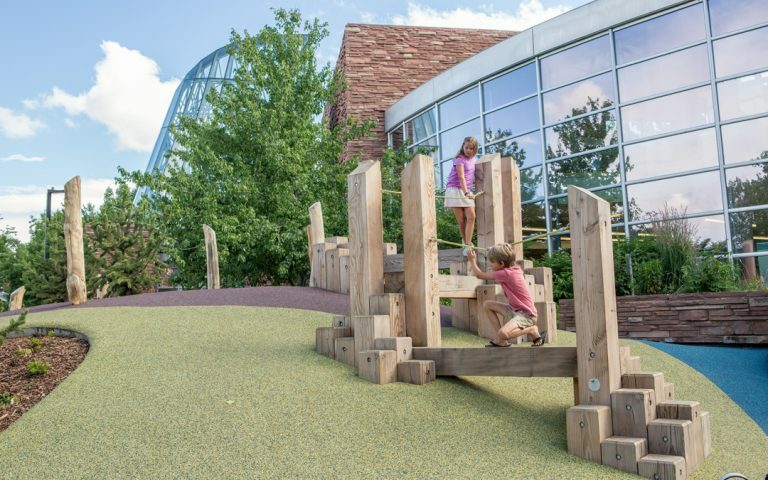 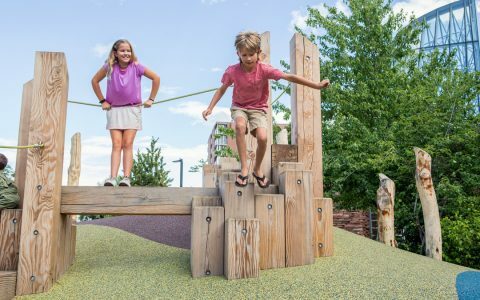 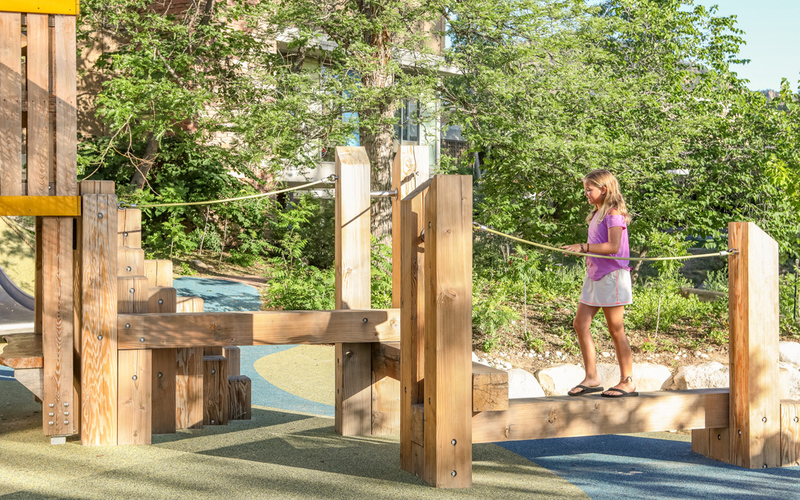 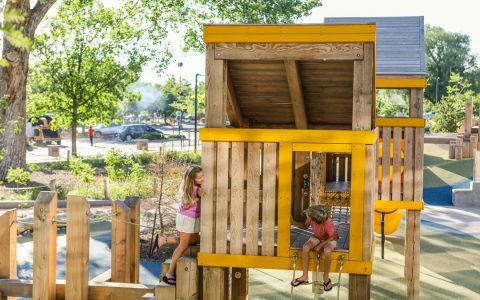 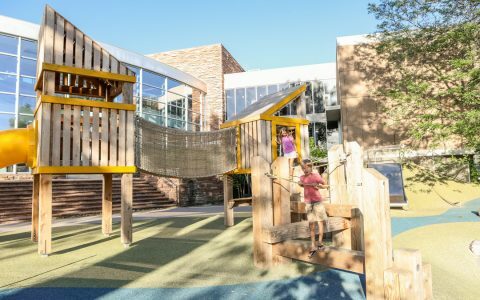 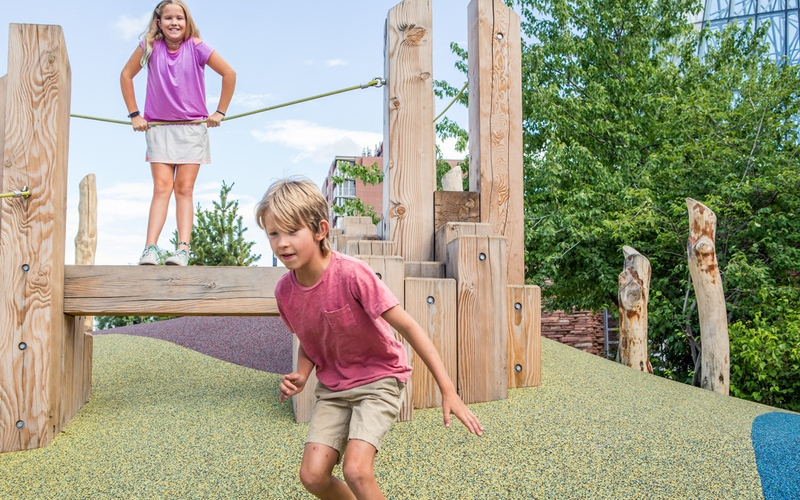 Collaborating with TLS Landscape Architecture, the multi-level play elements were designed to create a challenging structure with high play value and an aesthetic that fits with the surrounding civic, cultural and commercial buildings. The inclusive space is designed to reflect the community’s values with a timeless and elegant design that bridges the existing and future development plans. The play equipment suits a natural playground with challenging and interesting play opportunities for children of all ages. 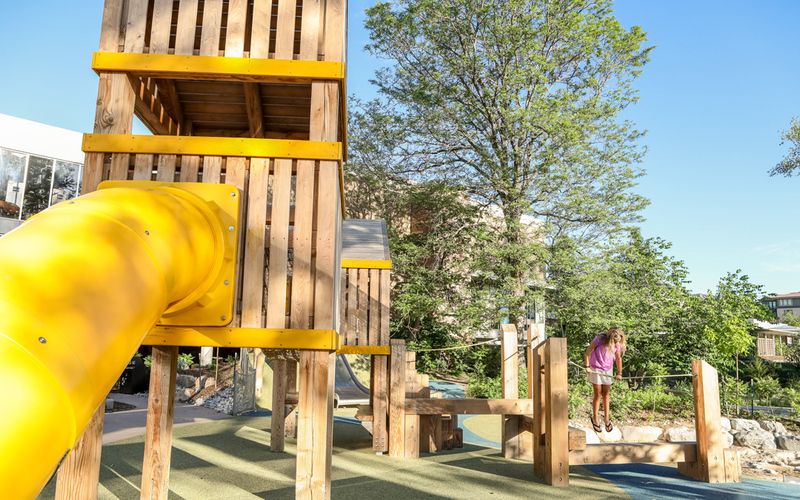 The treehouse towers are the focal point of the playground. 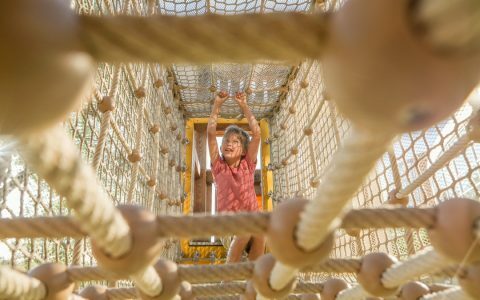 Two towers at different heights are connected by a net rope bridge. The smaller tower interacts with ground-level play through the horizontal timber and square stacky-stack climbers. 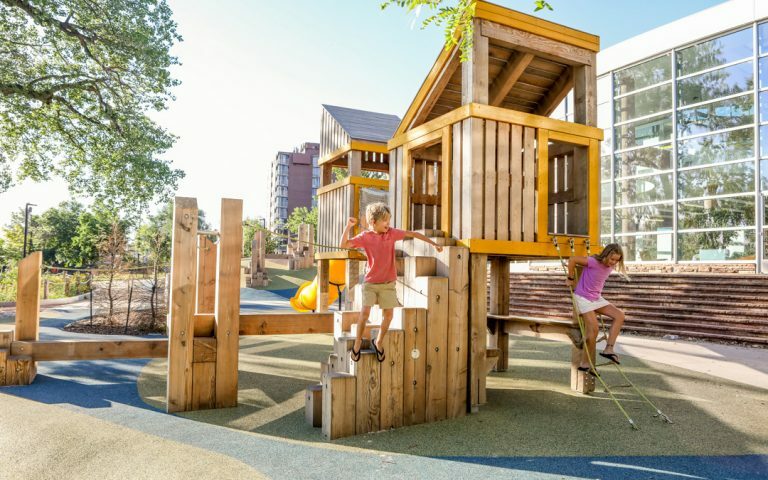 A bench under the smaller tower and a hammock under the taller one provide opportunities for passive or social play. The open angular roofs provide ample light into the towers and give children a unique viewpoint over the rest of the playscape.